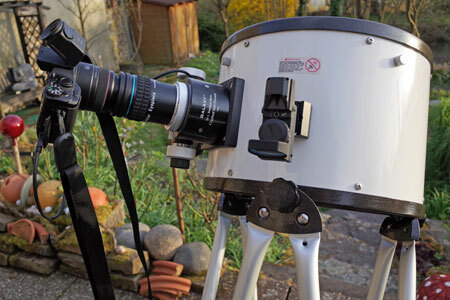 On this page, I demonstrate how I attach the Ricoh GXR A12-50 combo to a Baader Hyperion 5 mm telescope eyepiece with a 54 mm filter thread for taking astro photos using the projection technique. 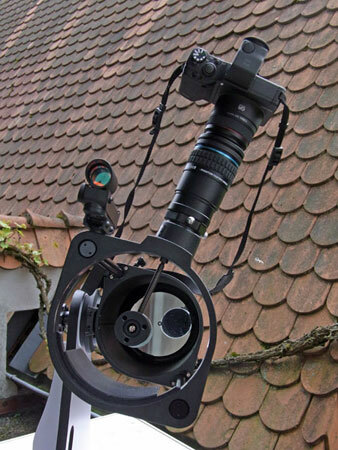 Projection technique means that the camera is mounted to the eyepiece, not directly to the telescope. 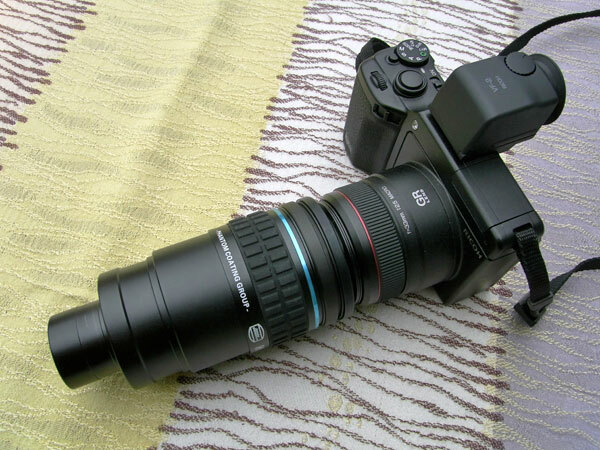 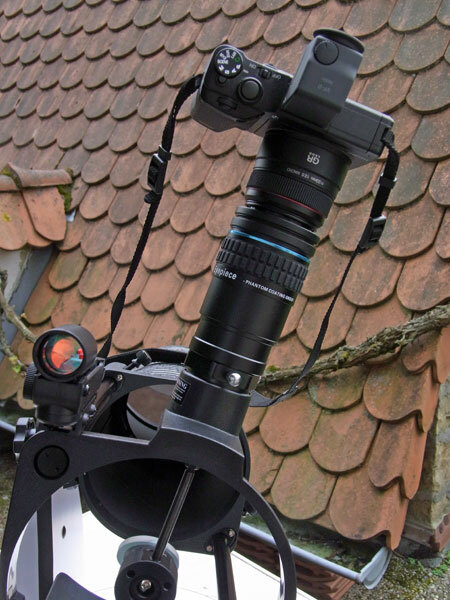 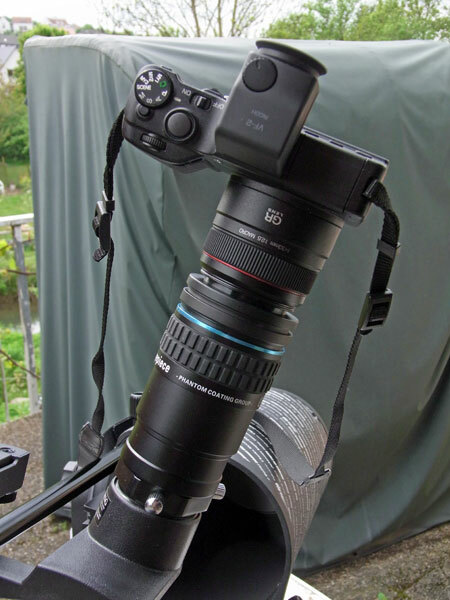 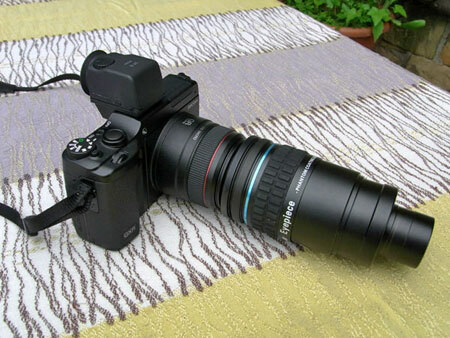 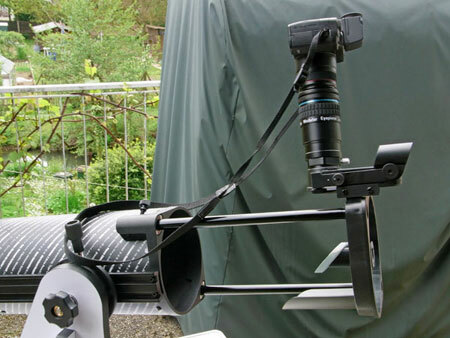 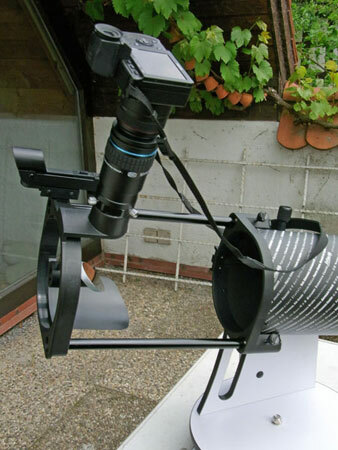 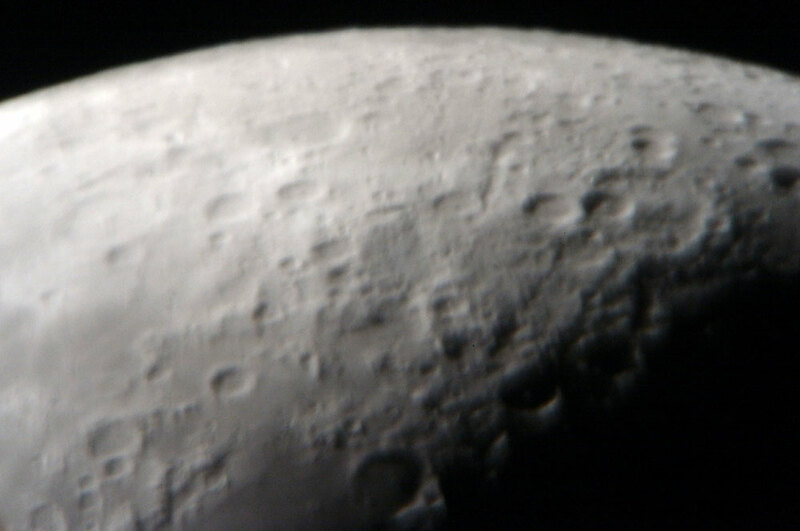 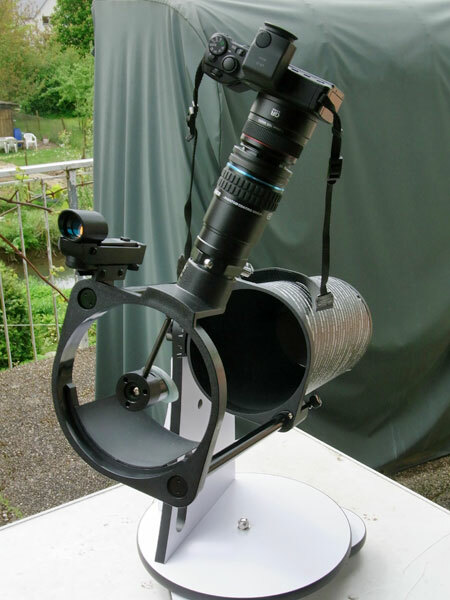 The latter technique can only be used with SLR cameras where the body can be directly attached to the telescope - typically using a T mount adapter. 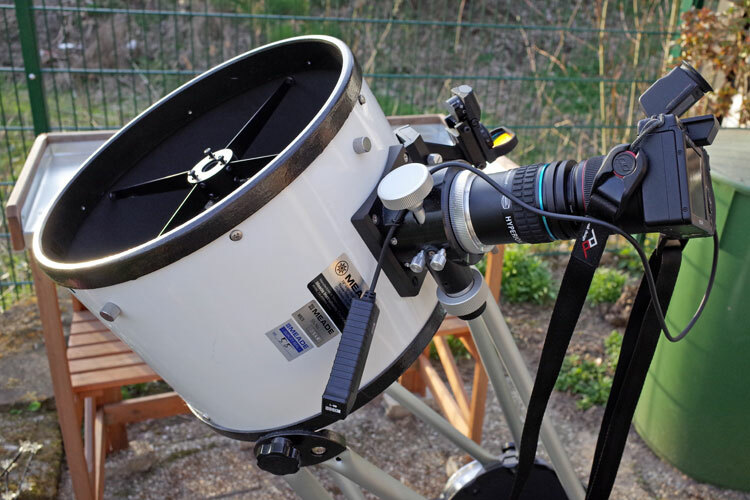 Note: Since I no longer own the Baader eyepiece, I cannot offer any further information on this configuration and photos taken with it. 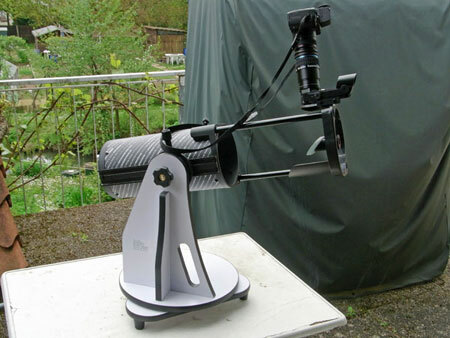 In addition, I do no longer own the Meade 10" Dobson telescope. 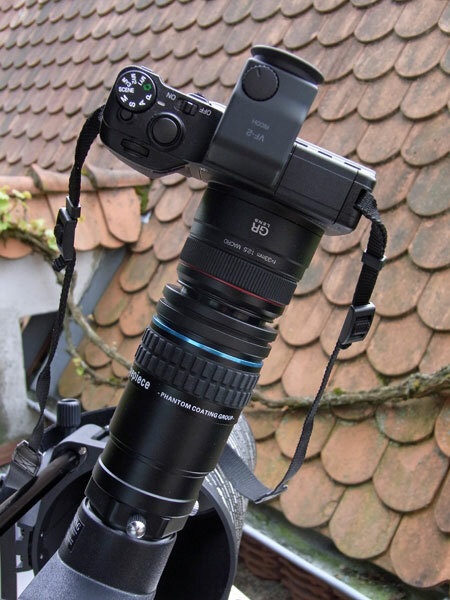 Special care must be taken that the front lens of the camera and the front lens of the eyepiece do not touch and damage each other! Baader delivers special distance rings allowing to increase the distance between camera lens and eyepiece (see below); in my case they are not needed. 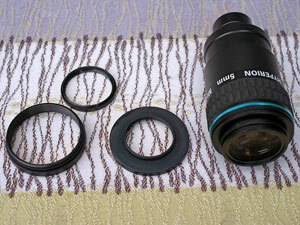 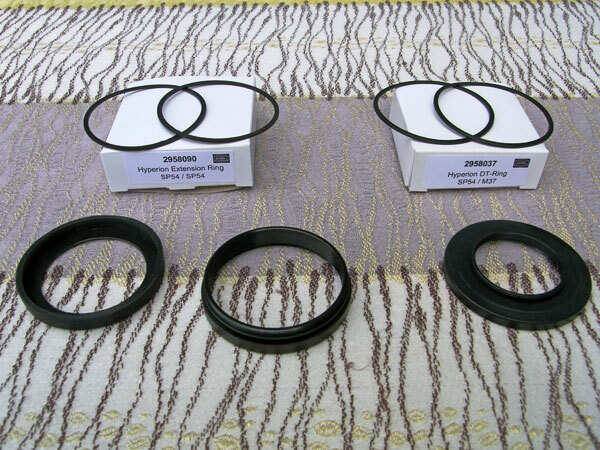 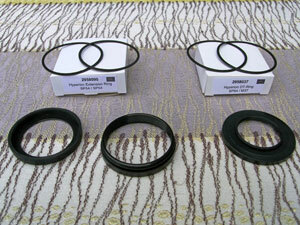 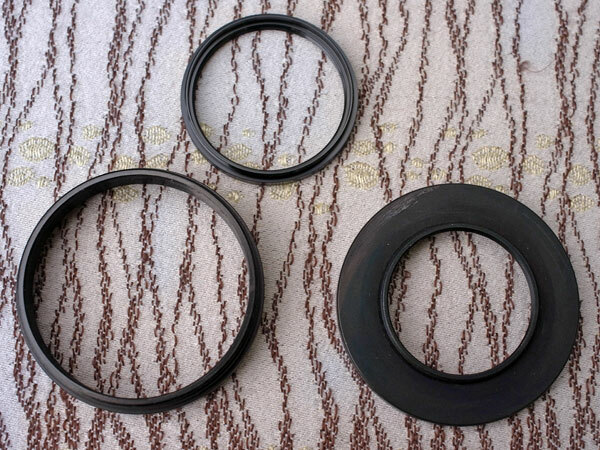 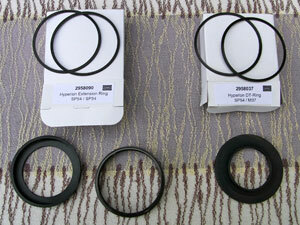 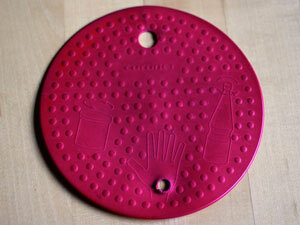 *) For larger filter threads (46 mm, 49 mm, 52 mm 55 mm, 58 mm, 62 mm), only one Baader Hyperion Extension Ring (e.g. 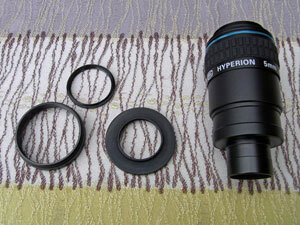 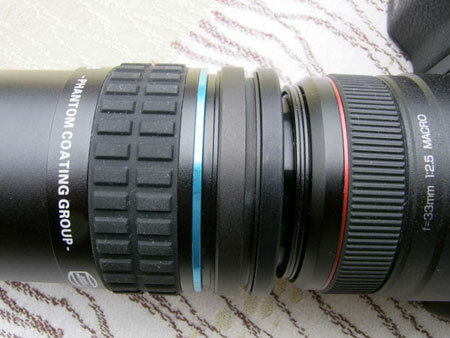 Hyperion DT-Ring SP 54_i / M 52_a) is necessary to establish the connection between the eypiece and the camera lens. The Hyperion 5 mm eyepiece achieves nearly the maximum magnification with the Heritage P130. 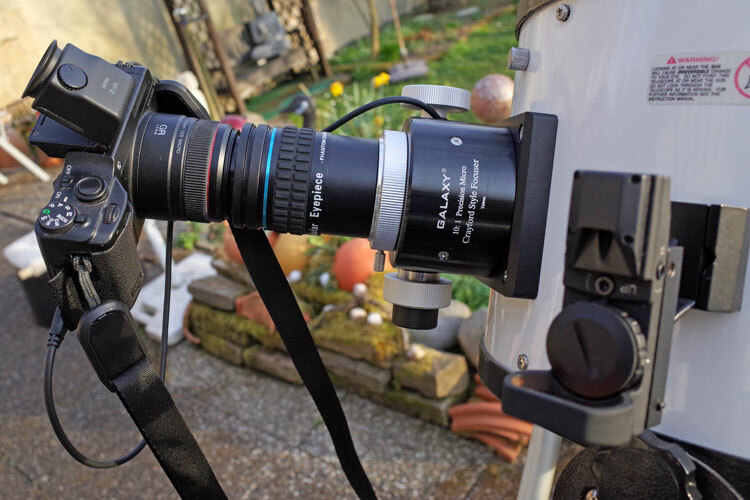 Therefore, it is much better suited to photos of planets and details on the moon than the Revelation DigiScope eyepiece (32 mm focal length). 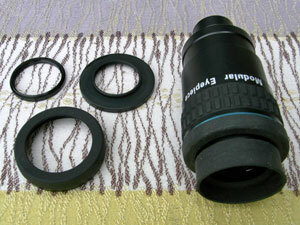 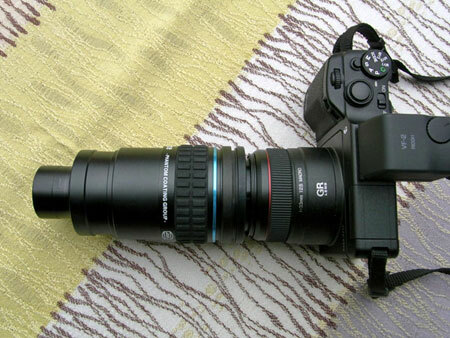 Note: Since I no longer own the Baader eyepiece, I cannot present any photos taken with this configuration. Note: Since I no longer own the Baader eyepiece and the 10" Dobson telescope, I cannot present any further information and photos taken with this configuration. Note: If you unscrew the rear lens element, the Baader Hyperion eyepiececan be used with a focal length of 22.5 mm instead of 5 mm and thus used as an overview eyepiece. Since the moon is magnified so much with this arrangement, only sections of the moon could be photographed (it would have been better, to unscrew the rear lens element and take pictures with a focal length of 22.5 mm). 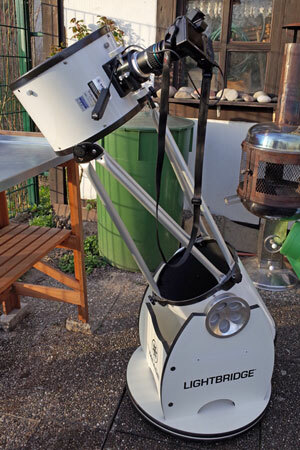 Note: Since I no longer own the Baader eyepiece and the 10" Dobson telescope, I cannot present any further photos taken with this configuration.